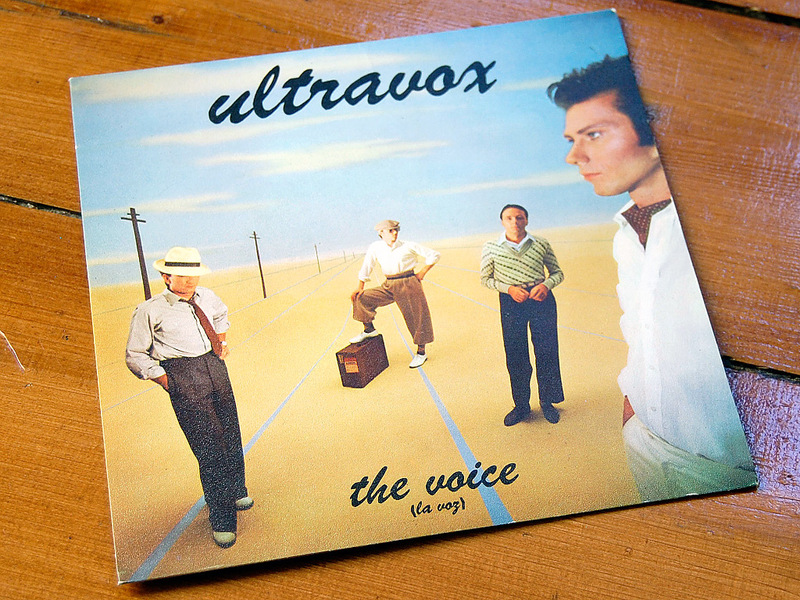 Nothing especially exotic when it comes to the musical content of this 45, fine as it is nevertheless – very much Ultravox mark II at the high water mark of their splendidly noir pomp. The A and B sides match the UK release, the former being an edited version of the LP cut, the latter one of Ultravox’s mark II’s best ever B sides, IMHO, with Warren Cann on lead vocals. 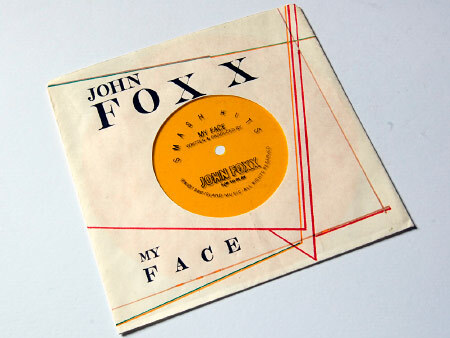 No, the chief attraction of this 45 is the cover, which broke with the tradition of most territories equivalent releases by ditching the (admittedly very good) Peter Saville (or Estudio Saville, as his nom de plume would have it on this outing) design – instead, the cover features one of photographer Brian Griffin‘s sumptuous shots from the ‘Rage In Era’ period, Ultravox in a timeless retro style in front of a vanishing point horizon. 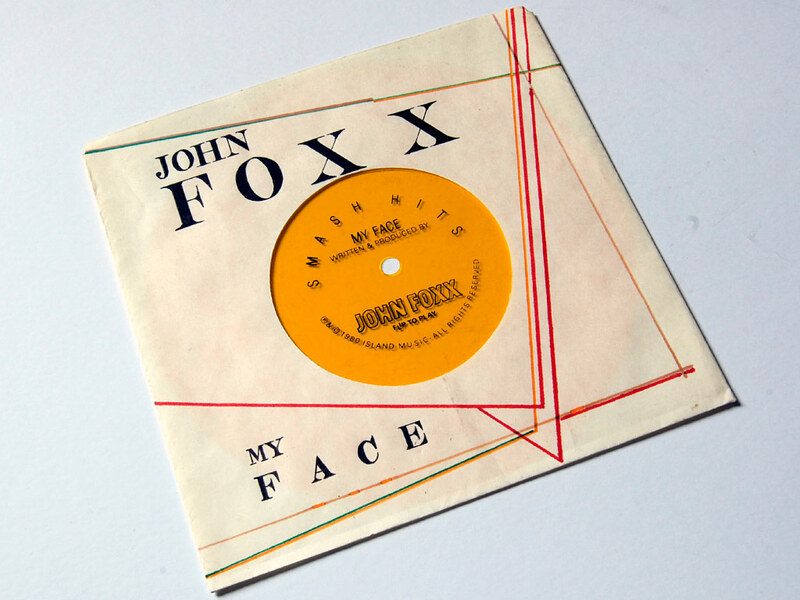 It did at least keep a similar in vein ‘brush script’ style typeface for the titles, the A side of which is also translated as ‘La Voz’ for this release. There does also seem to be another Spanish 7″ edition that features the regular picture sleeve design, it may be a promo only affair though? This is the one for me though. 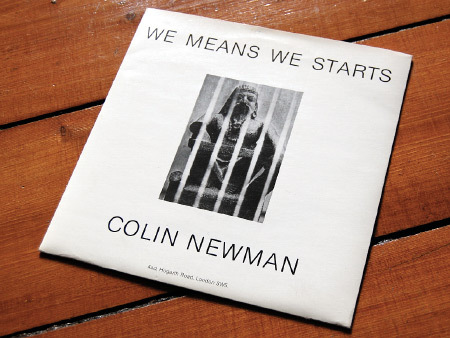 A stray single that put a full stop on the initial period of Colin Newman’s solo releases, ‘We Means We Starts’ followed shortly after his third album, ‘Not To’ in early 1982, but was not included on the album. Though sonically it shared a lot of the same DNA as the long player, it seems to have been put together by a different grouping. ‘Not To’ had included a good number of songs that Wire had first performed live but never recorded or released, so it inevitably had a great deal of comparisons to Wire from the off. 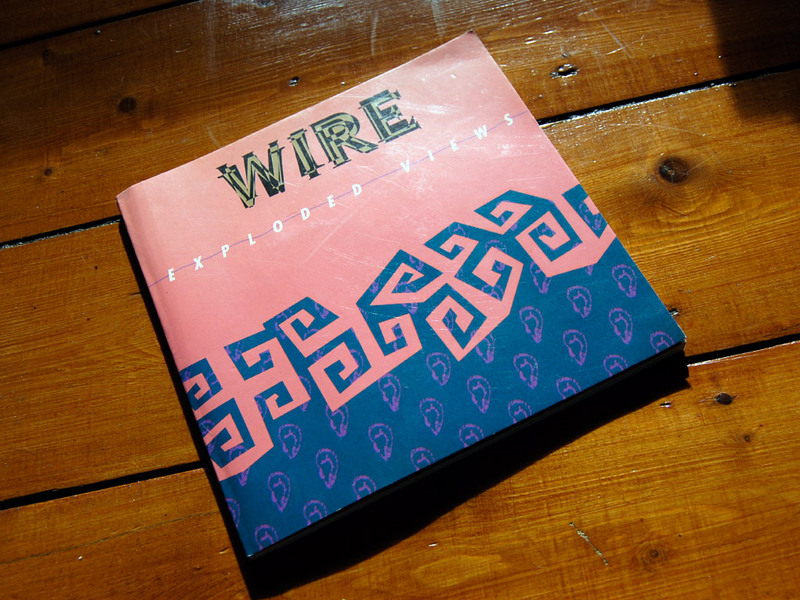 In particular, the more overtly ‘pop’ side was always bandied about as if this were the sole preserve of Colin Newman – despite his previous solo album, ‘Provisionally Entitled The Singing Fish’ straying into the kind of outer fringes sonic areas that erstwhile colleagues Gilbert and Lewis had been mapping as their own. Having said that, there’s no doubt that this ‘poppier’ side was in the sights with this album’s sound. 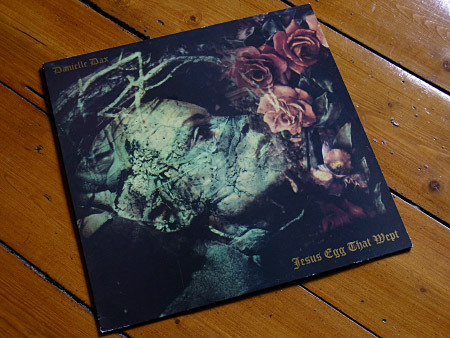 Regular visitors will most likely know already my fondness for that ’80s staple, the mini-album and in ‘Jesus Egg That Wept’ we have a prime example. Six new tracks (plus the addition of a track from the previous ‘Pop Eyes’ LP, for some reason) was a good introduction for me to the wonderfully unique oddities of Danielle Dax. Sleeved in an eye-catchingly odd cover, this mini-album was at a good time all round for Danielle Dax, with 1984 also seeing her brief but significant role in the film, ‘The Company of Wolves’ as well as an appearance on the primetime ‘The Tube’ TV show (performing ‘Hammerheads’).